Summary: Now that rates are rising, banks need to be effective in growing inexpensive deposits. Some tips for community banks to consider. People can be real fraidy-cats. At least, that is, if you believe a UK study on the percentage of adults who are afraid of the dark. 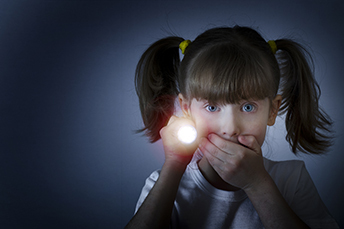 Amazingly, the study found 64% of adults said they were still afraid of the dark, 67% don't like turning out the lights before jumping into bed and 36% said they regularly get the feeling that something or someone is in the room with them. That last one is creepy, so we are glad it is morning. In banking, no one is afraid of taking deposits or making loans, but that doesn't mean competitive pressures aren't increasing. This is particularly true when it comes to deposits. Let's take a look at what the large banks have been doing for some clues. In May, it was reported that regional banks BB&T and Citizens Financial Group both grew non-interest-bearing deposits in Q1. Non-interest-bearing deposits rose by more than 3% YOY at BB&T and by 2% at Citizens in Q1 2018. For many years, banks have feasted on cheap deposits. This is despite competition where the biggest banks with the widest branch and ATM networks and the greatest brand recognition stood the best chance of raking in deposits. After all, funding was ubiquitous and plentiful. Now that rates are rising however, it might make sense to look away from the largest bank funding schemes towards regional but still large banks. Many are beating the nation's biggest banks here, so community banks too probably have a good opportunity to capture more deposits. Since non-interest-bearing deposits are critical to the bottom line, we thought we would offer some ways for community banks to grow their position vis-a-vis these inexpensive deposits. Make good use of data. You have heard this time and time again, but making good use of the data you already have can turn prospects in one area of the bank into deposit customers too. Done right, one-product customers quickly become multiple account clients. Experts have weighed in and predict that data analysis will be a strategic factor that helps differentiate deposit-winners from deposit-losers. Keep focusing on SMBs. Small and medium-sized businesses (SMBs) have long been the bread-and-butter of your bank's customer portfolio. Here again, by attracting new prospects and retaining and cross-selling existing SMBs, your bank can boost cheap deposits and build tighter ties to the community. Use new technology. During a late April earnings call, the head of consumer banking at Citizens Financial attributed much of the bank's success to the use of new technology. They used it to better pinpoint and target prospects for the bank, as well as cross-sell existing customers. While community banks may not boast the same IT budget as a $150B regional bank, something as easy as downloading and sorting accounts and sending a few targeted emails can help drive in new business. Increase sticky funding. Not only can low-cost deposit accounts help you have a greater edge in offering loans, but direct deposit accounts more often than not increase customer stickiness. Both pieces are important for customer relationship building and expanding product opportunity. A survey by Gallup and Wells Fargo finds that while 96% of respondents have heard of bitcoin, only 2% own it and 72% say they have no interest in ever buying it. We will see how this shifts over time, but it is nonetheless interesting. PayPal reports its popular Venmo mobile payments app partnership with MasterCard is seeing strong usage. Under the partnership, Venmo users can transact wherever MasterCard is accepted and withdraw cash from an ATM. Venmo volume jumped 78% during Q2 to $14.2B according to PayPal. The New York Department of Financial Services reports the number of online loans made to NY residents and businesses jumped 118% in 2017 vs. 2015 for a total dollar amount of almost $3B (+42% over same period).